What’s on the 2019 legislative agenda? While businesses face the possibility of paying higher wages, higher taxes and perhaps higher electric rates as a result of the Democratic takeover of the NH Legislature, they may be rewarded with a better-trained workforce, more affordable housing and more ways to save on energy. How much of each depends on the balance of power and the level of cooperation during the next legislative session – the first in history with a Republican governor and a House and Senate controlled by the opposite party. At least 375 bills affecting business have been filed so far this session, and although the language of only a third of the bills had been revealed by deadline, it’s clear that the newly elected Democratic majority in the House and Senate have put forth an aggressive agenda for the coming months. The following is a brief preview of the legislation. The major battle will be over business taxes, especially the business profits tax, whose rate had already been slashed from 8.5 percent to 7.9 percent, then 7.7 percent this year and a scheduled 7.5 percent in 2021. Senate Democratic leaders are looking to keep the rate at 7.9 percent. Republicans call that a rollback. But Senate President Donna Soucy argues that if the bill passes quickly – before businesses make their first quarterly payments – it won’t actually be an increase. In the House, Democratic leaders unambiguously want to roll the BPT rate back to 8.5 percent, but unlike the Senate, leave scheduled business enterprise tax rate cuts in place. The Business and Industry Association immediately came out strongly against the cuts, and the governor said he would include the cuts in his budget. “The last thing we should be doing is raising taxes,” Sununu said in his inaugural address. And watch for a more modest reform, sponsored by Sen. Jeanne Dietsch, D-Peterborough. Her bill would raise the filing threshold for filing a BPT return from $50,000 to $100,000 of gross business income. Another big upcoming tax initiative is to counter the U.S. Supreme Court’s Wayfair decision, which allows states and cities to require other jurisdictions to collect taxes on online sales. Sen. Jeb Bradley, R-Wolfeboro, will try to resurrect a bill that failed to pass in an emergency session last summer making collection more difficult. Other legislators want the state to defy the court’s ruling and have introduced legislation related to that. For years, Republicans have dammed up proposals that would enhance the position of workers. That dam is about to burst. Will Governor Sununu be willing or able to hold back the deluge? New Hampshire is the only New England state with no state minimum wage, defaulting to the federal minimum of $7.25 an hour. In all of the surrounding states, the minimum wage is at least $10 and going up. That probably will change, though by how much and how quickly remains to be seen. So far, proposals here have been more modest. Senate Bill 10, to be introduced by Senate President Donna Soucy, D-Manchester, would start at $10 at the end of this year. The leadership hasn’t decided on a ceiling yet. Soucy’s proposal has a couple of twists: The ceiling might be linked to the state of the economy and the wage would actually be a package that could include some benefits by provided by an employer, such as paid sick days. This might dampen opposition from the governor, who said he is opposed to a state minimum. Business groups are also opposed, but not heading to the barricades over it either. A paid family and medical leave program is also not a barricade issue, since workers, not businesses, would pay for it under proposed legislation. The House bill is expected to look like the one that passed that body three times last year – when it was controlled by Republicans – but defeated in the Senate. It creates a small payroll deduction to fund a program administered by the Department of Employment Services with a possible one-time opt-out. Sununu opposed this proposal as not economically viable. Under a Senate bill, employees couldn’t opt out, but businesses could, if they set up their own program, and the claims portion would be bid out to a third-party administrator, avoiding some up-front costs and risks to the state. What worries business organizations more is a slew of worker protection bills that have failed before but could pass a Democratic legislature. There are bills which would prevent employers from looking into things like credit history or even criminal history when hiring; ban noncompete clauses for low-wage workers; limit the time an employer can use a temp without offering a job; require payment for unused vacation time; and increase pay for those working at night. Then there is Portsmouth Democratic Sen. Martha Fuller Clark’s bill to require a two-week advance notice of an employee’s work schedule. 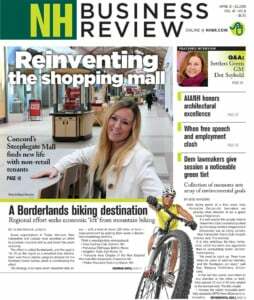 Scheduling requirements would “eliminate scheduling flexibility and force employers to deny last-minute time-off requests” resulting in “lost hours and income for employees” and would “ halt innovations in scheduling” including “apps that allow employees to see and ask for open shifts in real time,” according to the NH Retail Association. There seems to be bipartisan support for proposals to alleviate the state’s ongoing workforce shortage. Sununu proposes setting up a five-year high school program after which a student will be able to earn a tuition-free associate degree, and the possibility of a job interview at a local company. He also proposes a $24 million one-time investment to grow the state’s healthcare workforce. Democratic bills also deal with the workforce pipeline: incentives for college graduates who remain in the state; funding a healthcare workforce initiative; and using the state’s unemployment fund for workforce development and job training. Senator Clark would add another $500,000 in funding to the University of New Hampshire’s Innovative Research Center. The NH Tech Alliance’s big push this year also centers on UNH and putting enough money in the capital budget to fund expansion and upgrading of the university’s biological sciences facilities at Spaulding Hall. Senator Dietsch has proposed setting up a “sunny day fund” seeded with money from the current budget surplus and to be supplemented whenever the rainy day fund is full, to support high-tech R&D. “If we want to build a competitive advantage in growing industrial clusters, this is the way to do it,” said Dietsch, founder of Mobile Robots Inc.
Bills to provide affordable housing to New Hampshire residents, often a Democratic issue, seem mainly to be coming from Republicans this year. Top on the Realtors and the NH Homebuilders Association wish list is a bill sponsored by Rep. Lynne Ober, R-Hudson, that would create a Housing Appeals Board, which would expedite a developer’s challenge to adverse zoning rulings, since permitting delays can kill projects or increase costs. Senator Bradley is sponsoring two bills that also may be amendable to the majority. One would allow a one-time appropriation of $10 million and divert $5 million a year from the real estate transfer tax to augment the NH Finance Authority’s Affordable Housing Fund. Another would allow towns to discount the property tax on new multifamily housing projects. Another major focus of the Home Builders Association is to update the state’s nearly decade-old building codes, which has been held up mainly due to builders’ concern that national codes have gone too far, but a number of stakeholder compromises have been made that should be appearing in upcoming legislation. Rep. Carol McGuire, R-Epsom, wants to make sure that the codes aren’t too up to date. Her bill would require them to be at least two years old so the state can learn from others’ mistake. The Affordable Care Act, association health plans and prescription drugs will be the big three issues in health care. Business groups seem most interested in association health plans. Recent federal regulations not only allow existing trade organizations to band together to spread healthcare risks, but geographic and special interest groups as well. The state Insurance Department is drawing up some possible legislation to allow this, which Bradley intends to introduce, but it is sure to get a lot of scrutiny. Insurers are worried that such plans will skim healthier lives from the risk pool, and some consumers are worried that they will get sucked into plans without much protection. 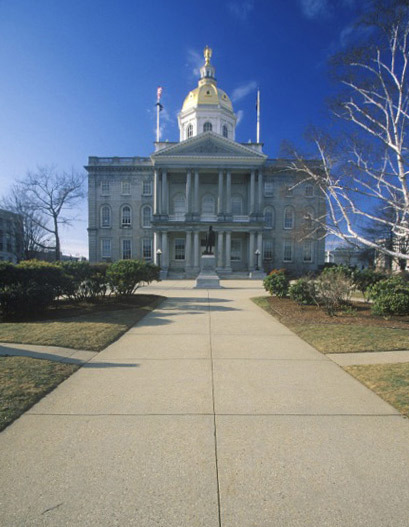 Rep. John Hunt, R-Rindge, has a bill – similar to one proposed last year by former Republican Sen. Andy Sanborn – that would make the associations easier to form without promulgating extra protections. Democrats also want to shield the Affordable Care Act, threatened nationally by a president hostile to it and a recent court decision. A bill sponsored by Senate Majority Leader Dan Feltes, D-Concord, would keep preexisting condition protections. Another bill from House Commerce Committee chair Rep. Ed Butler, D-Hart’s Location, also mandates guaranteed issue, community rating and coverage of essential health benefits. Transparency should be the goal of prescription drug legislation, say businesses groups like the BIA, especially when it comes to pharmacy benefit managers, which supposedly lower costs for insurance companies, but some say raise costs for consumers. Soucy plans to reintroduce her bill that would register PBMs. Butler has a number of prescription drug bills on the House side. Expect a rerun of the net metering debate this year, with another bill that would raise the limit on such projects from 1 to 5 megawatts, allowing large businesses and municipalities to sell back to the grid the renewable energy they generate, at a rate set by the Public Utilities Commission. Gov. Chris Sununu vetoed such a bill last year, calling the rate a subsidy. Two Democrats – Senator Clark NH Rep. Howard Moffett, D-Canterbury – will reintroduce it, joined by Senate Minority Leader Bradley. A proposal by Rep. Lee Oxenham, D-Plainfield, would tax carbon and likely receive less bipartisan support. The tax would start at $20 a ton in 2020, but increase over the next decade to $120 a ton. The money would go to property tax relief as well as energy programs for residents and businesses. Rep. Robert Backus, D-Manchester, a fossil fuel foe who now chairs the House Science, Technology and Energy Committee, has an intriguing bill that would make it harder to object to an energy generation proposal on the ground of aesthetics. That’s a bill that might both please those wishing to build wind farms, but also those wishing to build transmission lines as well. 0765 HB Lee Oxenham A tax on every ton of carbon equivalent fuel sold, used, or entered. Starts at $20 a ton, ends up $120 by 2030. 1052 SB1 Dan Feltes Would establish paid family and medical leave insurance program. Claims would be handled by a third-party administrator contracting with the state. 0242 HB211 Janice Schmidt Prohibits an employer from requiring a prospective employee to disclose his or her salary history prior to an offer of employment. 0689 HB Susan Almy Would roll back BPT decrease all the way to 8.5 percent. Would allow decreases in BET to continue. 0891 SB Lou D’Allesandro Would roll back BPT and BET decreases to last year’s rates; BPT would be at 7.9 percent. 0908 SB Jeanne Dietsch Establishes a sunny day fund. If rainy day fund is full, use surplus to support high tech R&D.